You will complete your enrolment at the ‘Direction des Etudes’ office (the Department of Academic Studies) when you arrive. You will then be provided with your student ID card, enrolment certificate and internet access codes. 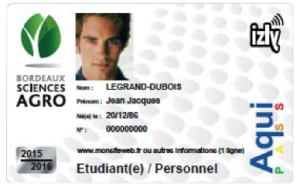 When you arrive at the University, you will receive your personal Aquipass card. This is your student passport. It is your source of ID and will allow you use the many services on offer: checking out books at the library, eating at the University restaurants, etc. The electronic card system also allows you to make certain purchases. This is where you can do your research and study! Books and journals may be consulted in the library or borrowed. There is also a wealth of on-line resources (journals, databases, etc.) available. 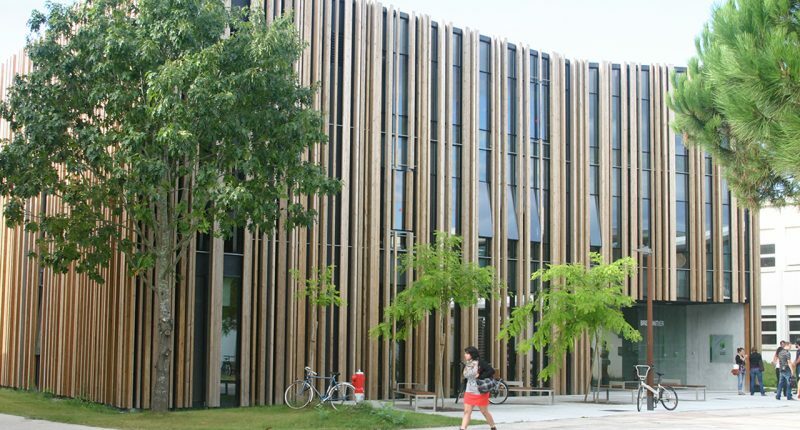 The Bordeaux Sciences Agro Library has nearly 30,000 books in relation to the courses offered at BSA: economics, agriculture, environment, science, animal production, crop production, food processing, forestry, viticulture, oenology, computing and information technology, foreign languages, etc. It also subscribes to more than 230 journals. University restaurants are located throughout our campuses and in the city center. They offer healthy, balanced meals for only €3.20. Bus Line (Ligne) 10 (Village 6). Izly: how does it work? The Aquipass cards have an integrated Izly electronic card system. This may be used in the University cafeterias and restaurants, avoiding the need to pay in cash. How do you validate the Izly card? To login to www.izly.fr for the first time, use your university e-mail address given to you by the ‘Direction des Études’ office (Department of Academic Studies) when you arrived. How do you top up the Izly card? To Load, Reload, Unload or Contest a transaction, use a computer, smartphone or a tablet to log on to www.izly.fr. With the Izly card, you can use your phone to pay at the CROUS restaurants in any city in France. Where can you use Izly? at the online ordering sites of CROUS and other Higher Education institutions.